Once again, 2019 starts off with a bang for Trustco Group Holdings. The group scooped another prestigious accolade at the PMR Africa Awards. 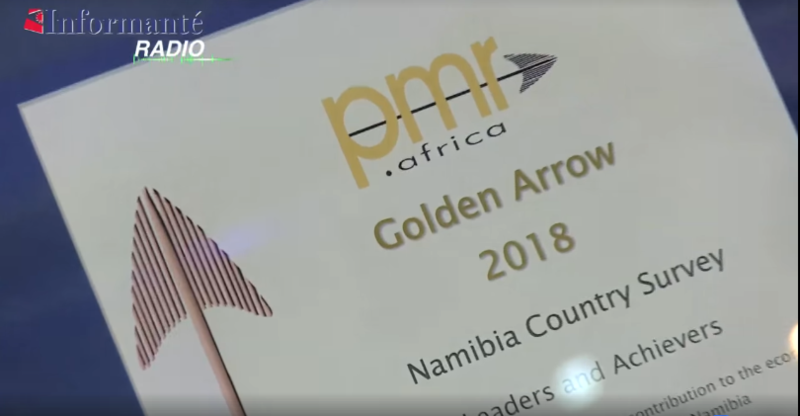 Trustco walked away with the well-deserved Golden Arrow Award for Most Innovative Companies/Institutions in Namibia, another milestone in the long history of business accolades bestowed on the group. The PMR Africa awards can be considered as the equivalent of the “Corporate Oscars” in Namibia. The various corporate heavyweights rubbed shoulders at a business breakfast at Safari Hotel in Windhoek this morning whilst waiting with bated breath as their ratings on the various Key Performance Indicators by fellow professionals were revealed. 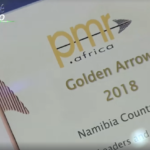 Through these awards PMR Africa wants to acknowledge contributions, initiatives, strategies, effort and hard work of all the corporate entities in Namibia. The vision, integrity, values, competence and empathy that contributes to ethical and sustainable business practices are measured meticulously. These traits are representative of values symbolized by Trustco Group in ensuring its sustained competitive edge locally and internationally. This category for achievers, in which Trustco placed first overall and was rated highest, is awarded based on ratings by a random sample of respondents comprising of CEO’S, MD’s, Business Owners, Company Directors, Managers and Senior Government Officials based in Namibia. The President of the Republic of Namibia, Dr Hage Geingob, proclaimed 2019 as the Year of Accountability, and we as Trustco Group are fully behind his campaign. By continuously producing the highest level of accountability in our corporate governance, Trustco will keep on doing its part in propelling Namibia towards global recognition as an economic power house and destination for future investors.